Italian-born Francesco Romano is no stranger to exceptional food. After growing up in a household that valued home-cooked meals using authentic techniques and the freshest ingredients, he was inspired to create his own blog, Coco de Mama. Influenced by memories of his Mama Francesca and Nonna Sara’s cooking, Francesco takes us on a journey through an authentic Italian kitchen. By sharing family recipes, stories of Italy, and video tutorials, Coco de Mama allows American readers access to approachable Italian cooking techniques. Francesco shares his recipes and culinary knowledge with Mazzoni fans each month. An Italian transplanted to California, Simona Carini is the woman behind the blog, briciole. Meaning “small fragments,” briciole shares snippets of Simona’s life along with an Italian recipe or ingredient feature. With a specialty in handmade pasta making, she provides accessible, easy tutorials for readers looking to cook like an Italian right from home. With a passion for fresh ingredients and seasonal cuisine, Simona gives us a unique spin on the fundamentals of the Italian kitchen. Mangia mangia! A Rome-based blogger, Natalie Rae moved to Italy by way of California in 2010. She loves coffee, food and wine, as well as the Italian lifestyle which revolves around all of these things. In between meals, Natalie takes photos, collects passport stamps, argues with taxi drivers, and tries to avoid being hit by vespas. More of her expat adventures can be found on her blog, An American in Rome. 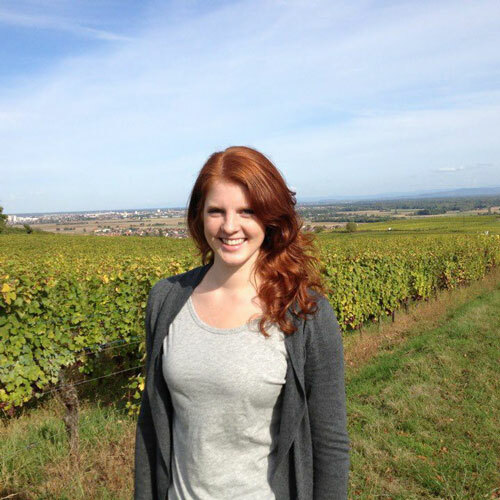 Shelby Vittek is an award-winning food, wine, and travel writer. She is currently a contributing writer at Terroirist.com. Her writing has appeared in Table Matters, Washington Post, The Smart Set, and on 1WineDude.com, where she once worked as an intern. She is based in Philadelphia and is currently pursuing an MFA in Creative Writing from Rutgers-Camden. Follower her on Twitter: @bigboldreds. As a Fine Wine Education Director for Terlato Wines International, Tim Clark works directly with the wineries within the portfolio to communicate and teach the uniqueness and individuality of each to the marketplace. Tim joined Terlato Wines International in 2012 after 10 years as a National Wine Educator for Ste. Michelle Wine Estates. Prior to 2003, Tim enjoyed a fourteen year career in wine education with the Robert Mondavi Winery. With a strong belief that there are no ‘wine experts,’ only wine students, Tim lectures frequently to all levels of the wine trade, universities, businesses and consumer wine groups.